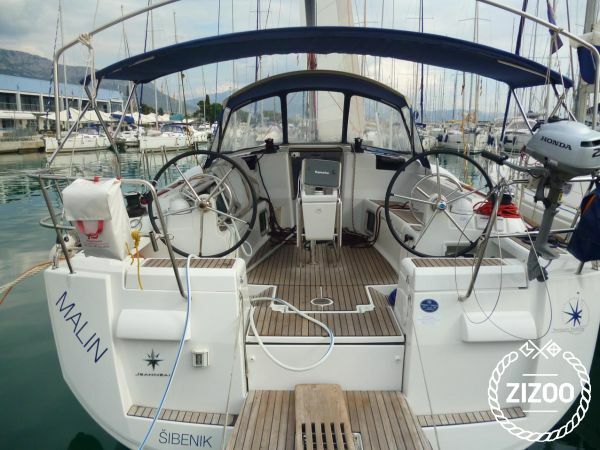 Based in Kastela, not far from Croatia's second largest city, Split, is the Malin, a 2013 Jeanneau Sun Odyssey 439. This spacious sailboat features 4 cabins, 2 bathrooms, a fully equipped kitchen and a charming salon. Sail with friends and discover the wild beauty and natural wonders of the Adriatic. For a unique experience, visit Bisevo and its marvellous Blue Cave. Located at Balun Cove on the eastern side of the island, this enchanting cave, which can only be accessed by dinghy, is most beautiful between 11 and noon, when the sun's rays enter through the water and reflect off the limestone floors. The result is a magnificent brilliant blue experience that turns this cave into an unearthly blue grotto. Another spectacular place to include in your itinerary is Sv. Klement. This gorgeous island is home to Palmizana, surrounded by lush pine forests with the scent of rosemary and exotic plants in the air. For more suggestions, hints and general help with your boat, please contact the friendly charter crew.